Cartoonist Michael Cavna lost his father earlier this week. He noted, "I haven't been able to quite put my feelings into pure words. 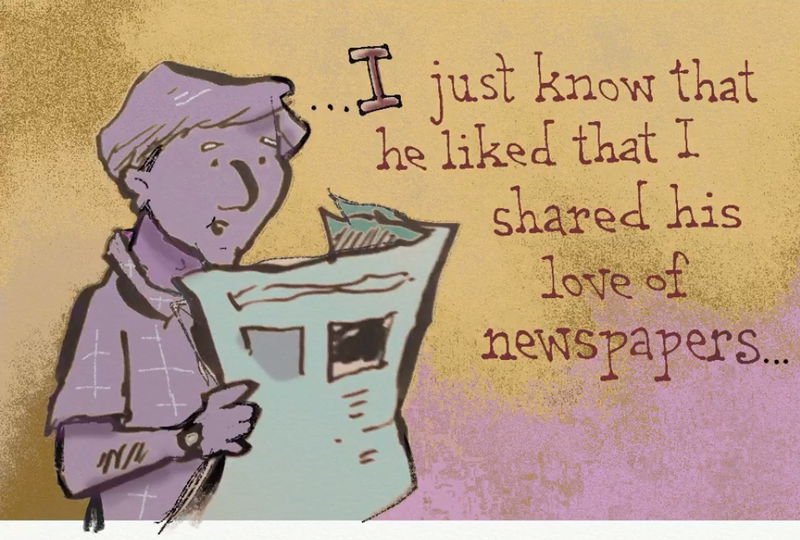 So instead, I created this short "animated" eulogy -- my small tribute to Dad, and newspapers, and the gift of handing down the art of storytelling." My condolences, of course, to Cavna and his family. It's never fun to lose a parent, but I like that some people are able to take those feelings of sorrow and that sense of loss and turn it into something beautiful.